Houstonians know the Bayou City offers everything under the sun. Well, almost everything. You see, despite the head-turning variety of restaurants, remarkable ethnic richness and impressive cultural attractions, something has been missing. And what is that something? HouseCheck, a whole new kind of home inspection company. Our goal is to provide home buyers and home sellers with the easiest, most dependable home inspection services you can imagine. 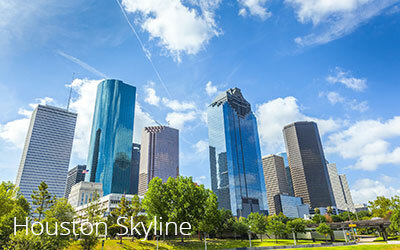 All around the great city of Houston – and all over the U.S.A.
in Houston - and beyond! We offer an unconditional money-back guarantee! To receive this quote enter your email below. 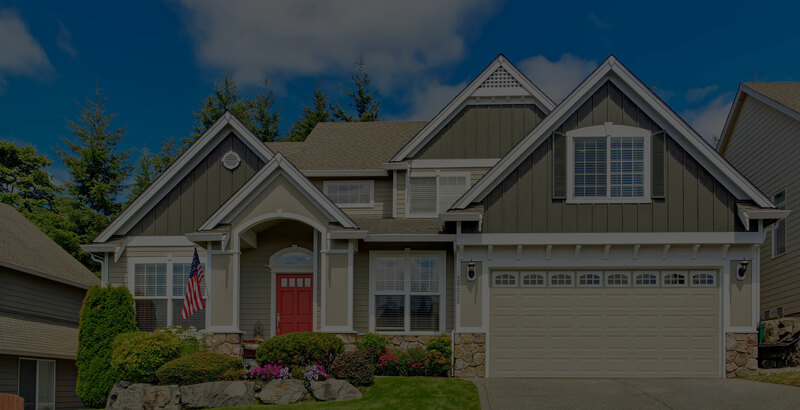 Home buyers and home sellers in the Houston area can look to HouseCheck’s experienced, certified inspectors for an honest, detailed assessment of a home’s condition. HouseCheck’s professional inspection team has been carefully screened and selected from your community. So they’re more than good at what they do. They’re also your friends and neighbors. 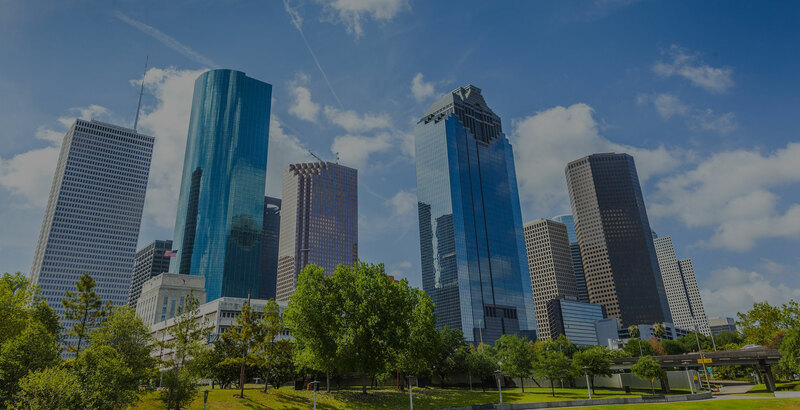 For every inspection need from Downtown to Uptown…in Glen Oaks…The Heights — or virtually everywhere in Houston – you can depend on HouseCheck for a thorough, by-the-numbers, easy-to-understand home inspection report. Once your offer has been accepted, the next step is to arrange a home inspection. But how do you know if the inspector you’re about to hire is the right person for the job? Check out HouseCheck. 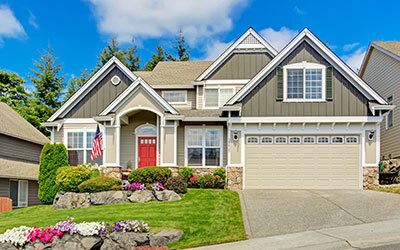 Our professional, dependable home inspection crew understands all the ins and outs of the Houston market. Don’t let that deal get away! Let’s say you’ve just sold your house in Houston. Of course, you are super excited! Then your buyers have the home inspected. And they throw you a curve ball. As in a lengthy list of things they want fixed before the sale proceeds. Wouldn’t it be nice to avoid this challenging situation? We think you’re going to like our solution. Who wants a stress-free closing? So, you’ve listed your Houston-area home. Once the house sells, you want a stress-free closing, right? 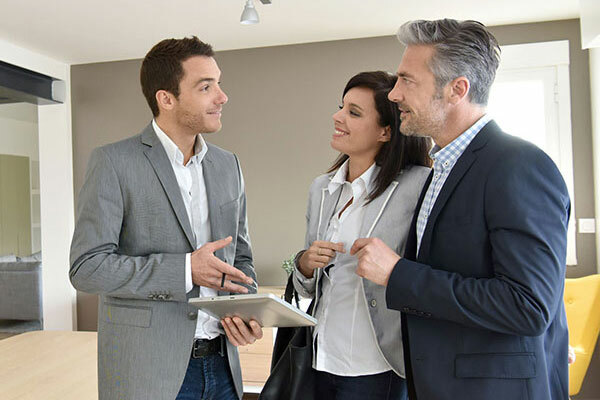 That’s exactly why HouseCheck’s home services experts created the Certified Pre-Owned Home Program — to promote a successful transaction for both seller and buyer. See what everyone is saying about HouseCheck in Houston! I was very impressed by with your company. You really give a buyer a complete inspection. The detail and the clear pictures will really be an asset in negotiating with the seller. Again thank you, and know I would not hesitate to recommend your company. Honest and upfront pricing. Also arranged for termite inspector to be there at the same time. Very prompt and thorough. Very nice, easy to understand report with pictures emailed the next day. Will definitely recommend to others. Thanks again! I wanted to thank you again for the work you did for us on the inspection of our new Perry Home. You were by far the best inspector I have worked with and the builder was very complimentary of your work as well. So I’m in the process of buying a home and your company did a GREAT job with the home inspection report. Even my dad, who is in construction, said the report was really thorough and really helped in estimating costs for repairs after close. So everyone, if you are in the process or thinking about buying a home, a home inspection is a must! Thank you for a very good job done! The inspector showed up as scheduled and completed the project in a timely manner. He agreed to do a complete walk through and answered all questions. I would highly recommend this company to neighbors and friends. I really appreciated the effort and the attention to detail that you had during my inspection. It was a straight forward process. Very professional and I truly received a thorough job.